The fabric is digitally printed in Lancashire on 100% hopsack and handmade into cushions in Norfolk. Random cut fabric – please note that design may vary from image show. 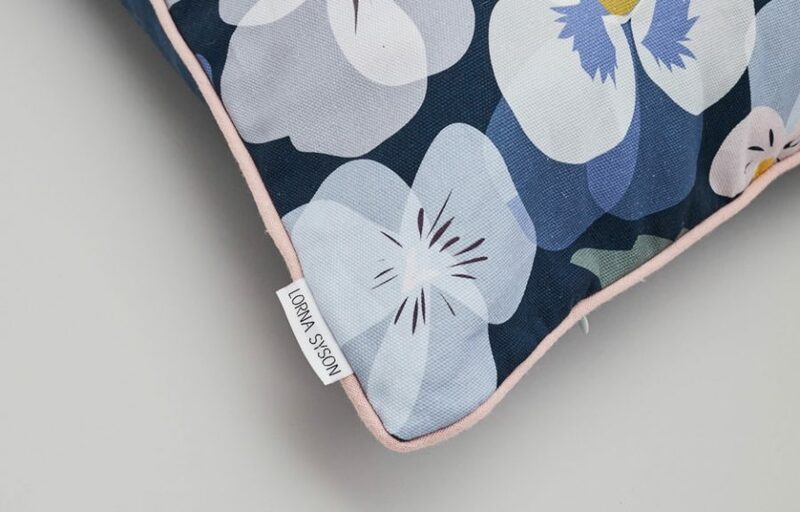 A symbol of thoughtfulness and contemplation, the pansy is one of Lorna’s favourite flowers and is seen here in shades of blue with highlights of lemon and blush. Part of Lorna’s new Garden collection inspired by the native flora and fauna found in our verdant domestic gardens. 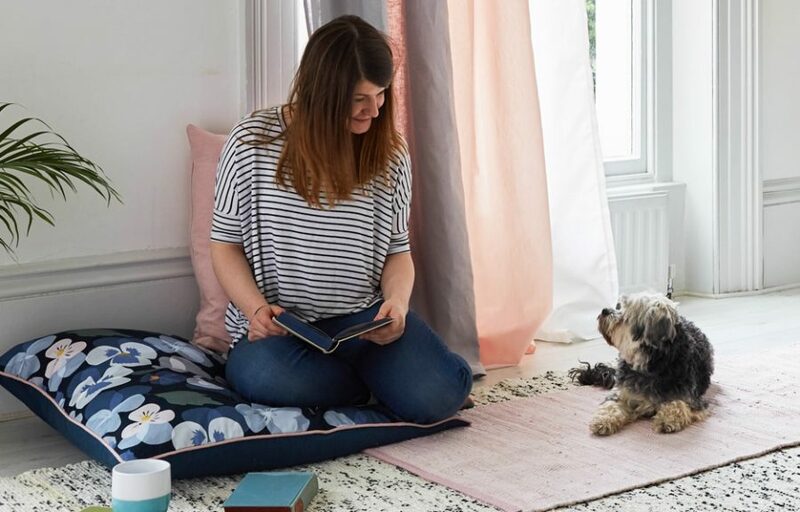 Lorna’s love of British gardens has led her to explore a whole range of outdoor spaces, from the formal gardens of stately homes to her own Brockley roof terrace, and she has incorporated the shapes and shades of many well-loved favourites into her new designs. 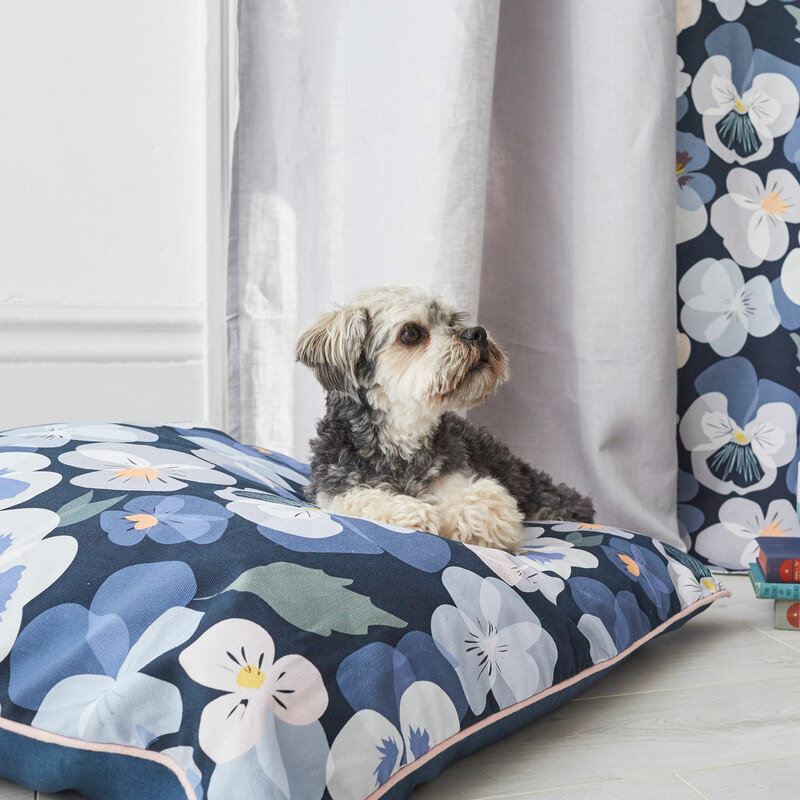 This design is also available in smaller cushions, lampshades, wallpaper, plant pots, fabric by the metre and make up bags. All items are tissue wrapped before postage, making them a perfect gift for you, or someone else. If this is a present, we can provide and write a card. Please purchase the card via the website at the same time and leave us a note on the checkout form. Free postage on orders over £75. International and next day delivery available. See more on delivery and returns or please use the delivery calculator at check out.